One of the key features of my new home office was the use of modern black furniture, instead of the original cherry wood furniture I’ve had for years. 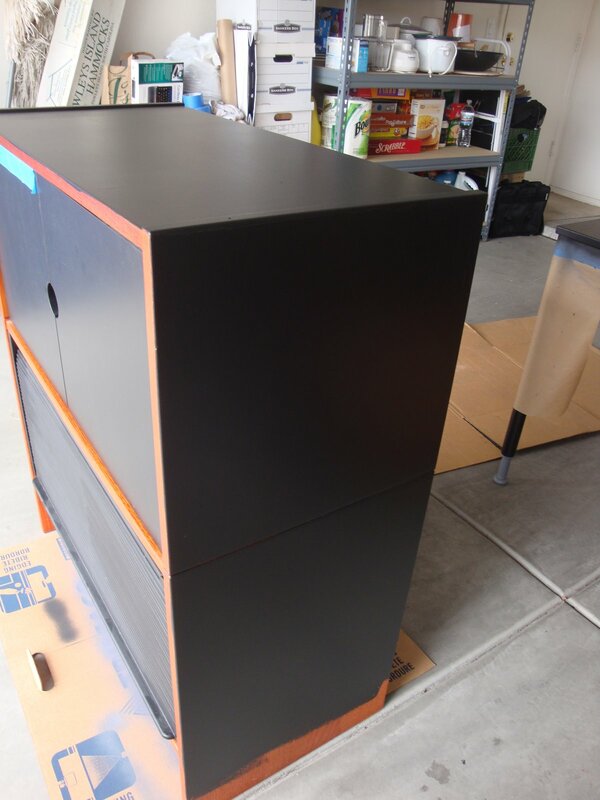 I decided to re-purpose the same furniture by re-painting it in black. This was not as easy as it sounds, but in the end it was still worth it! 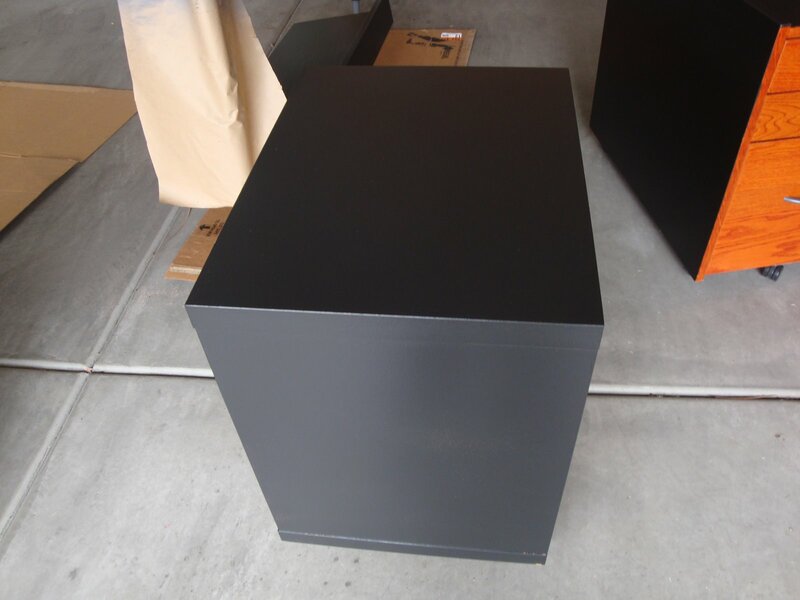 At first, we thought spray paint would be the best option, but we soon learned that spraying the furniture black (even after sanding and priming it) did not result in the best finish. 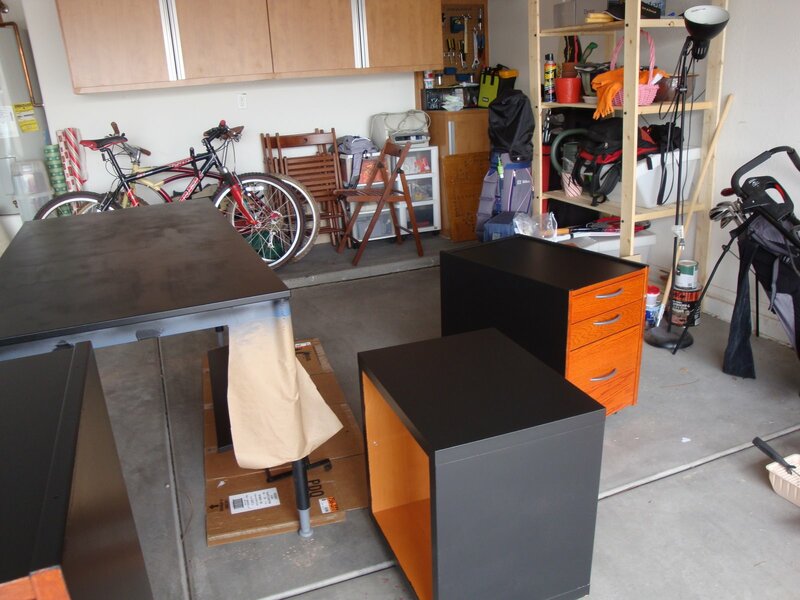 We started with the desk, and as you can see below the paint went on blotchy and did not look so great. A quick trip to Home Depot to return the many cans of spray paint ended up in purchasing interior paint in a Satin finish to complete the project. I had to sand down the desk again, to remove the spray paint, and then applied two coats of paint with a small paint roller. The result: Success! As you can see below, the finish was even and had a nice sheen to it, and best of all, it was QUICK! Here are pictures of the rest of the furniture, in various stages of repainting. I hope this inspires you to re-purpose some pieces you have, and save some big bucks buying new furniture. In today’s economy, we all need money-saving ideas that keep our house beautiful. The cost of this project was under $50, including the can of paint and the painting supplies.